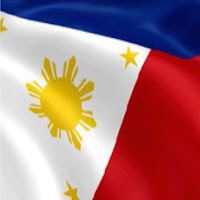 The Philippine Rice Research Institute (PhilRice) is recommending an Indonesian-inspired cropping system to rice-based farming communities as the Philippines braces for the newest natural phenomenon to hit the country. 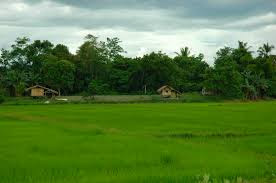 PhilRice experts have evaluated the Sorjan cropping system developed by Indonesian farmers, in response to climate change and farm productivity maximization. Sorjan is a system that constructs an alternate of deep sinks and raised beds, with features that can adapt to both dry and wet seasons. “There’s a heightened need to develop technologies that will enable the adaptability and economic stability of rice-based farming communities. This is a good climate change adaptation technology in both flood- and drought-prone rice areas,” said Rizal Corales, PhilRice Intensified Rice-Based AgriBioSystems (IRBAS) program. State weather bureau PAGASA activated the La Niña Watch last May and warned of possible flooding in low lying agricultural lands, extensive damage to standing crops, increase in pest and disease, and coastal erosion due to strong waves and coastal flooding, among others. In flood-prone areas, the sink impounds more water and can tame its flow while raised beds and bunds constructed allow farmers to plant dry-land crops such as vegetables and cash crops. PhilRice said the sink of the Sorjan system could serve as rain water harvesting or impounding mechanism for farmers in drought-prone areas. “The sink with the impounded water can be used for rice production and other crops like gabi or kangkong, and for fish production. The water stored in the sink can later be used for irrigation,” Corales said. As a diversified and integrated farming system, PhilRice said Sorjan ensures food security due to the variety of food source, and eventually a more stable source of income. “The Sorjan cropping system can generate an income of up to 10 times higher than the income from rice with the same piece of land, which we are trying to prove,” Corales said. According to PhilRice, vegetables that can be grown with Sorjan system include eggplant, pepper, tomatoes, upland kangkong, bush beans, cowpea, pechay, mustard, kale, lettuce, spinach, okra, corn, and herbs. The fish component may include cat fish, gourami, and tilapia while the bunds can be planted with okra, bush and pole beans. PhilRice said the system also has the potential to help farmers generate income from other crops while waiting for rice harvesting. “With Sorjan, the production can support the family’s daily food requirements and expenses. Thus, putting the rice income later as savings or as capital for other income generating endeavors,” Corales said.